Rev. 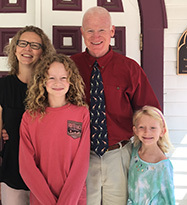 Timothy Clark came to UCC in Crested Butte in June 1992, a Master of Divinity graduate of Union Theological Seminary in NYC where he was trained in the liberation theology perspective. His undergraduate Bachelor of Arts degree from Lewis and Clark College in Portland OR was in History and Religious Studies. He was born in Cheshire Connecticut where he was baptized and raised in the First Congregational Church UCC established in 1724. He and Rev. Kelly Jo Clark were married in 2004 and have 2 girls, Rachel and Vivian. His interests include; mt. biking, telemarking, fishing, whitewater rowing, sailing, hunting, competitive hockey and backpacking. Tim is a an outdoorsman who’s theology reflects a profound appreciation of the natural world as sanctuary and the sanctity of all life as the framework for the shalom which God calls us to work toward as brothers and sister in Christ. His messages encourage us to welcome all people as beloved children of God and to work as disciples for justice, peace and the integrity of creation. Rev.  Kelly Jo Clark has served Union Congregational Church as the Associate Pastor since November 2003. Prior to that, she served in three different congregations as the Youth Pastor. She attended Western State College for her undergrad and received her Master’s of Divinity at Iliff School of Theology in Denver. In addition to her commitment to youth in local churches, she has been very active in the wider church setting such as: co-directing the conference high school summer camp, participating or having leadership roles in the conference annual meetings, leading conference youth mission trips and taking youth to attend National Youth Events, Western Regional Youth Events, General Synods, etc. When Kelly Jo started her ministry here, she also merged her life with Pastor Tim Clark in marriage! They have two daughters, Rachel and Vivian, and a menagerie of animals. Kelly Jo also works for the local bookstore, Townie Books. 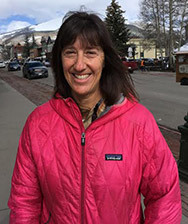 Mary was lured to Crested Butte 20 years ago by the powder skiing and magnificent views. What has kept her here all these years is the amazing community. When she’s not at the office you will find her out on the trails with her husband, son and dogs, hiking, biking, skiing and just enjoying this amazing place she calls home. Originally from California, she has a degree in English and Italian from the University at California at Davis. She enjoys using her slight obsessive compulsive tendencies to help organizations become as organized and efficient as they can be, all while having a good time and making new connections with people in the community. Alicia moved to Gunnison in 1986 from Philadelphia, an area that she grew up in surrounded by her many Italian relatives. She earned her Bachelor of Music (Piano Performance) and Bachelor of Music Education from the University of the Arts in Philadelphia. Alicia also has a Masters of Arts in Teaching from Grand Canyon University. 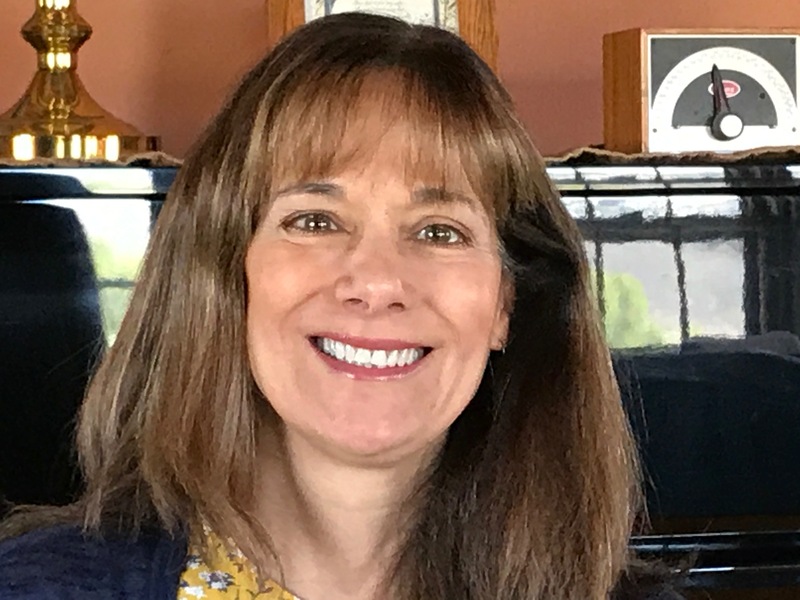 When Alicia first moved to Gunnison, she joined the Community Church and worked initially as the Children’s Choir Director, then moved on to become the Organist, and for the last 8 years the Accompanist/Choir Director. At the present, Alicia also works at WSCU as the Collaborative Pianist and Adjunct Lecturer. She is also the Director of the Gunnison Arts Center Singers, a community choir. Alicia has two adult children: Daniel (Fort Collins) and Lauren (Washington, DC).